I have to say this was one of my all-time favorite senior photo sessions. 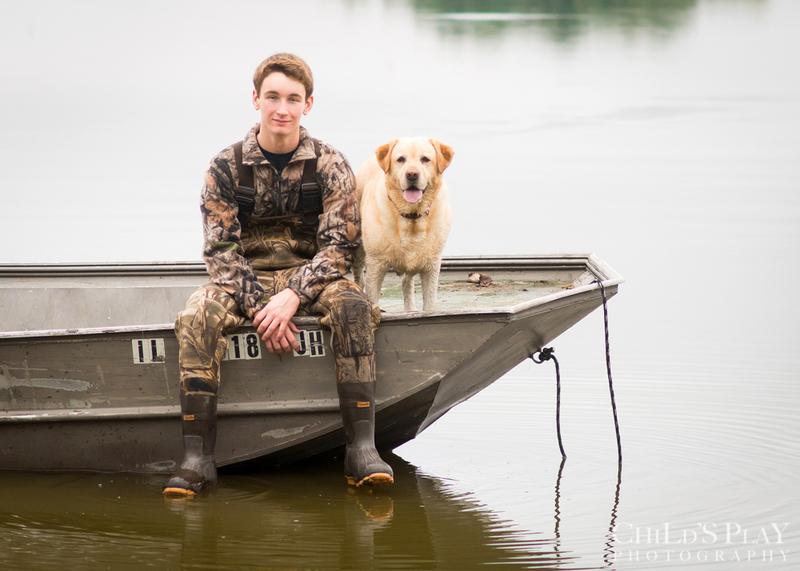 Jake and his parents took me to his father’s duck hunting club near Chandlerville (way west of Springfield). It was a foggy over-cast day, and driving the unpaved roads up to the lush green grounds of the club reminded me of Ireland. The property sits on a water way where the Illinois River meets the Sagamon River. 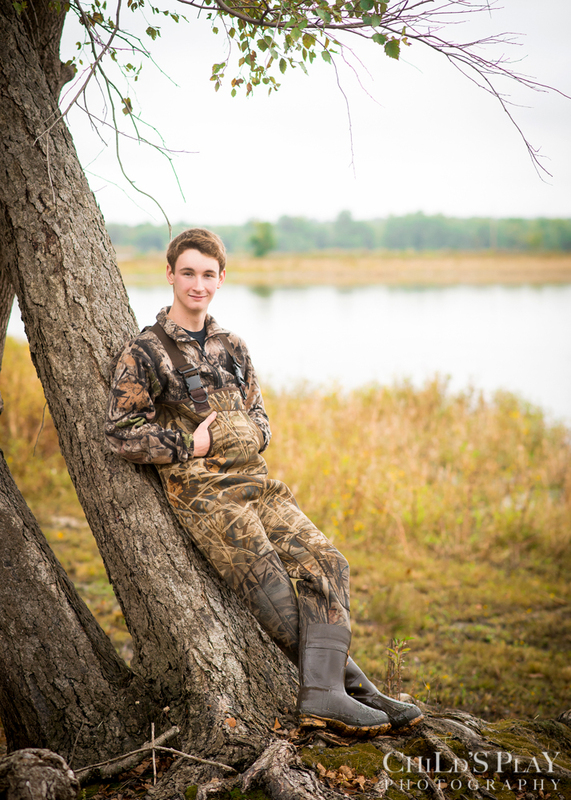 Jake and his dad told several stories about overnights at the Lodge with other club members and early mornings on the water hunting ducks. Jake’s mom (whom I’ve known since we were sorority sisters in college) jokes that she’s a “hunting widow,” but the reality is she was resting-up for all the hours she spent at swim meets, band competitions, concerts, and all the other extra curricular activities Jake participated in over the years. He is one very well rounded young man! Jake swam for the YMCA, Illini CC and SHS qualifying for State three years. He also played percussion for the Marching Band, Pep Band and Concert Band. He has volunteered for the Special Olympics and Matthew Project, and recently achieved Eagle Scout rank in the Boy Scouts. Wow, right? So you want to know what my favorite part of the this photo session? It was spending time getting to know this really cool kid. He’s bright (forgot to mention he’s NHS with super high GPA), funny, respectful and easy going. I am also very, very excited that he will be attending DePauw University next year!! (His mom’s and my alma mater.) I am going to love watching this next chapter in Jake’s life. Good luck Jake!